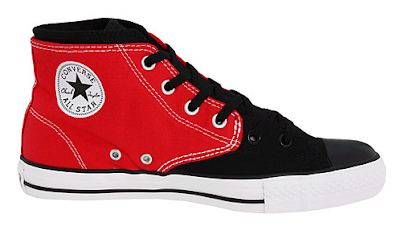 Is there anything you can't do with a Chuck Taylor? I am beginning to think that the answer is no. 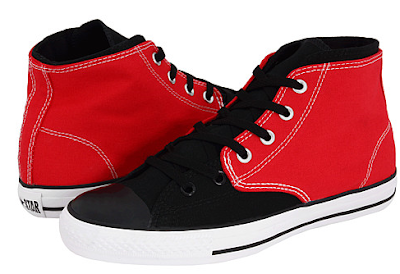 2010 brings another new interpretation of the worlds most popular shoe. 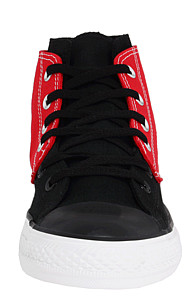 Below is the Converse Split Mid, which plays off of the successful double upper era of Chucks. 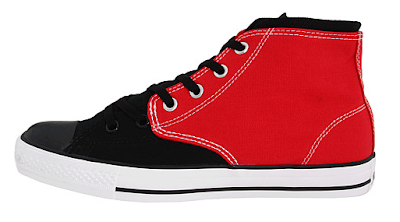 Besides the obvious split upper, you will also notice that these come in a mid top. The split comes just after the second eyelet going from the bottom up. JIM check your email I sent you something. I kind of like these. I may buy a pair.